Successfully Added Handheld Oscilloscope - DIY Kit, 1 Channel, 0 - 200KHz Bandwidth, 50Vpk Input Voltage, 2.4 Inch Color Display, Open Source Code to your Shopping Cart. 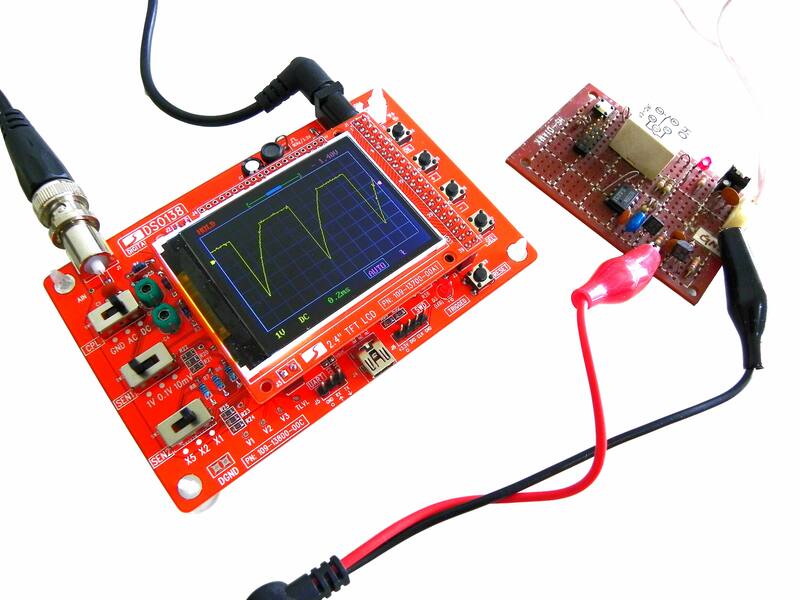 This handheld oscilloscope comes in the form of a DIY kit, allowing you to assemble it yourself and to truly get to know your electronic device. Designed as a training device, this cheap oscilloscope is easy to assemble and operate for anybody out there. It comes packed with all the basic oscilloscope features, making it perfect to be used for educational purposes as well as for do-it-yourself hobbyists. Whether you use it for the maintenance of electrical equipment, testing computer circuits, or for car repairs and ignition tests – oscilloscopes are tremendously useful tools that bring along plenty of useful purposes. Coming with all the needed components as well as highly detailed assembly instructions and a troubleshooting guide, this DIY handheld oscilloscope is great for beginning electrical engineers. At the heart of this cool gadget lies a Cortex-M3 ARM processor that is capable of handling tough demands. On its 2.4 Inch LCD display that features a 320x240p resolution, this cheap oscilloscope will nicely and clearly portray all the measured waveforms. Being highly accurate and supporting up to 50Vpk input, this 1 channel oscilloscope allows high-end measurements and observations of constantly varying signal voltages in all sorts of devices. With its 0 - 200 KHz bandwidth, you can be assured that this DIY oscilloscope kit is perfect to perform all basic tasks. Whether you’re a student, hobbyist, or engineer – this amazing pocket-sized oscilloscope is sure to support you with all your demands. For the more technically advanced ones among us, the source code for this oscilloscope is openly available – allowing you to customize it and add your own features to meet all your personal demands. 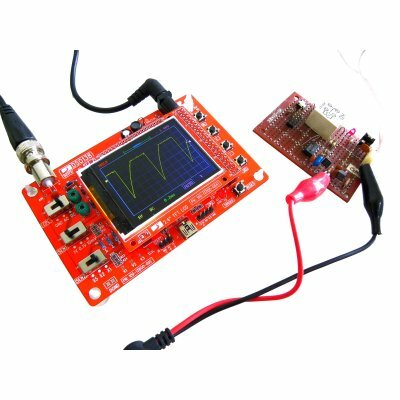 Simply assemble it and start measuring electronic circuits right away in a safe and secure manner with this cheap oscilloscope kit.